The European Union is at a crossroads. Slowly recovering from a series of financial and economic crises, with trust fundamentally shaken by processes of disaggregation and increasingly nationalist politics, it is searching for new visions that are at once inspiring and workable. In its White Paper of 1 March 2017, the Commission proposed five non-exclusive options for the Future of Europe. As put by the Commission, the five scenarios are illustrative in nature to provoke thinking. They are not detailed blueprints or policy prescriptions. Likewise, they deliberately make no mention of legal or institutional processes – the form will follow the function. This book takes the current state of the Union seriously. However, it aims to debate not only the political vision of Europe, but also the issue of legal integration beyond Brexit. 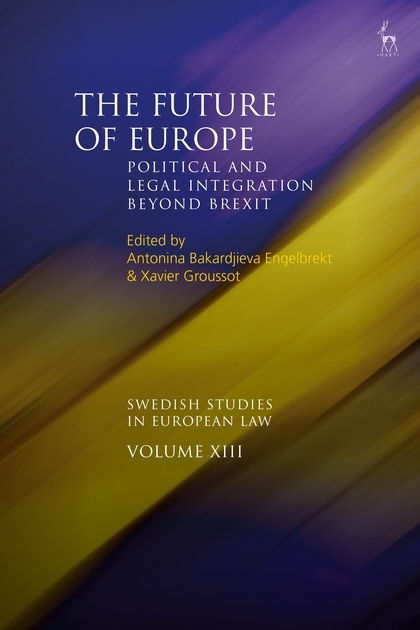 Apart from addressing the institutional challenges for the EU, the contributions to this volume focus on two key areas: rule of law and security. Rule of law and security are not only paradigmatic for the future of Europe but are also closely connected to a particular vision of Europe based on 'integration through law'; a vision that has been strongly contested in recent years. The overarching question is: how can sustainable political and legal integration be achieved in Europe? 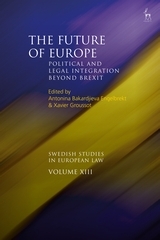 The volume builds on a conference organised by the Swedish Network for European Legal Studies in November 2017 and includes chapters by leading scholars in the field from the Nordic countries and wider Europe. Antonina Bakardjieva Engelbrekt is Professor of European Law at the Faculty of Law, Stockholm University and Chair of the Swedish Network for European Legal Studies. Xavier Groussot is Professor of European Law and Dean for Research at the Faculty of Law, Lund University.